En ny kul produkt från CYP///. Med denna kan du fjärrstyra produkter upp till 250m bort med hjälp av en vanlig nätverkskabel. OBS Som alla andra sådana här produkter så är det ju inte i ett nätverk, utan en dedikerad kabel från plats A till plats B. 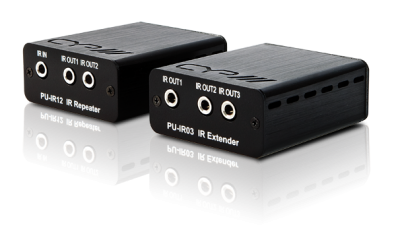 The IR Extender and the Repeater set is perfect for controlling IR controlled source equipment over long distances. 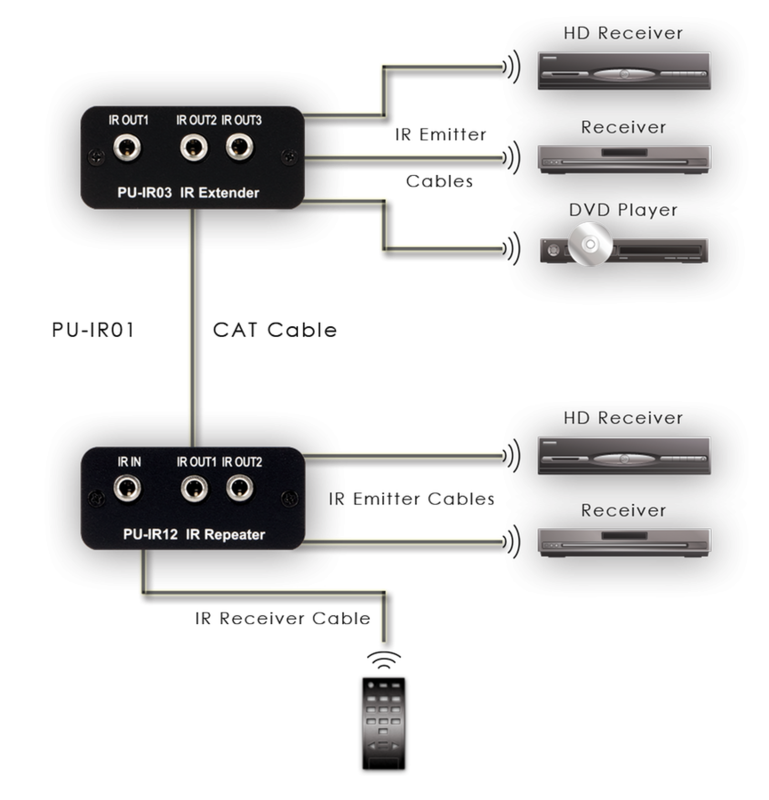 Up to five sources can be controlled using this extender set. Two sources can be controlled located locally to the repeater, whilst the remaining three sources can be controlled locally to the extender, which can be located up to 250m away via CAT5/6 cable. This system allows for the sources to be controlled by their own original remote controls, from extended distances. A 5-eye emitter accessory can be supplied for additional control of extra source equipment. * Supports five outputs (two from the repeater, three from the extender). * Control source equipment from a distance of up to 250 metres away, via CAT5/6 cable. * Transmits infrared signals only. * Allows the use of existing remote controls. * IR Receiver"s frequency is at 20~60 KHz.